In my place of work (“Work!” you might say? Yes, I do indeed have a regular job to fill the days I don’t update this blog, which is basically all of them) the climate of the economy has forced pay cuts across the board for employees. Now, percentage wise it is the same for everyone. But 15% of the pay for some of the higher ups making, say, $300k a year adds up to a lot steeper pay cut than what I have taken. Still, it comes across as very disingenuous for someone so wealthy to try and complain side by side with me about how bad we all have it with the pay cuts. They might be losing out on $45k a year, but that’s probably double what the low tier employees make total, before the pay cut. They’re also still left with $255k a year, enough, I would presume, to get by. 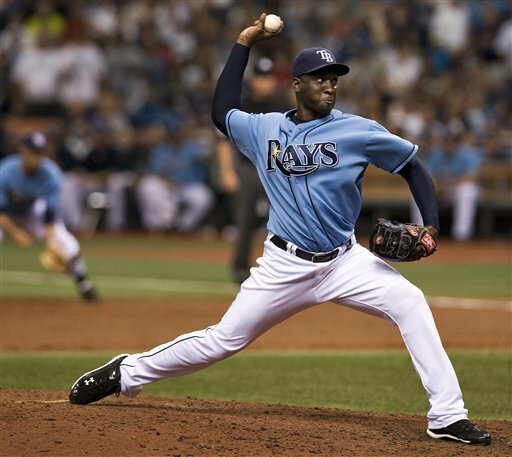 By the time Soriano's contract is up the Rays will probably have turned the Yankee's draft picks into a 4 star OF prospect. The Yankees are the rich executives of the sports world (let’s ignore the fact that basically everyone in the professional sports world is rich). When they blow over 30 million dollars on a soon to be 31 year old reliever in Rafael Soriano it stings as a fan, because it is clearly a waste of money. However, I have trouble convincing myself that this will in any way hamstring them in the near future. It won’t impact the draft, it won’t impact international free-agency, and it most likely won’t affect how they go after other free agents, this year or next. The Yankees don’t have infinite revenue, and they don’t have an unlimited salary, but they do have the closest thing to it in modern sports. So even when they give away stupid money to a reliever (already a bad idea) who is over 30 (worse idea) and has an injury history (see where this is going) for three years (worst idea), I can’t get too angry without feeling entirely hypocritical. This isn’t the same as the Reds blowing more than 16 percent of their payroll on a closer. I also have to mention here that Grant Balfour, while not quite the reliever Soriano was, was had for 2 years and $8 million by the A’s. You are currently browsing the Dinosaurs Never Existed blog archives for January, 2011.